Hi everyone. Quick post today of my February Thank You notes that i made using the new Happy Watercolor stamp set that is available right now in the Occasion's Mini right now. These card, like always, are measured at 3" x 6" and then scored in half at 3". This card is really as simple as it looks. 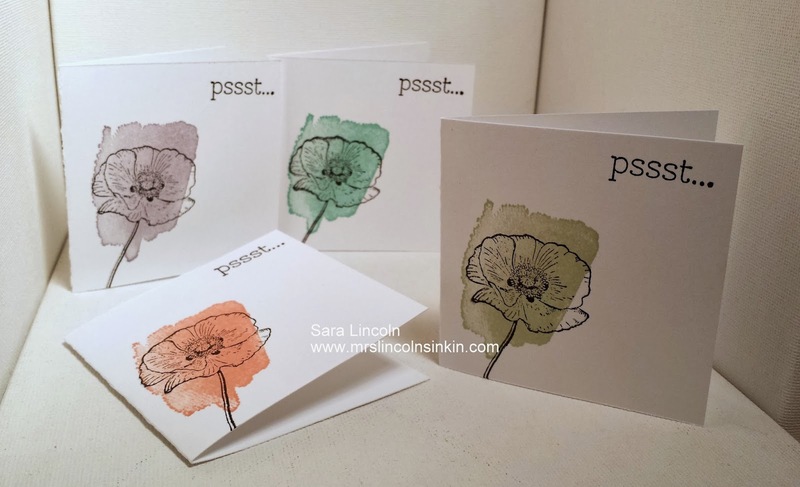 I used the flower in StazOn ink on all of the cards and then took the paint swatch stamp (I call it that because i really think that is what it looks like, lol) and then used the In-Colors (with the exception of Wisteria Wonder) and stamped them onto the pedal part of the flower. That's it! !